Bloodborne is a difficult game, no doubt. If look closely, though, there are ways to make it easier. Boss exploits—aka cheesing—are the stuff of legend in Souls games, but is that cheating? Summoning is one thing, exploits are another. One is built into the game, another is bending the game's rules to your own benefit. Then again, it can often feel as though the Souls games themselves are exploiting your habits, tendencies, and expectations, so is it all fair game? I'd say there's a pretty big difference. 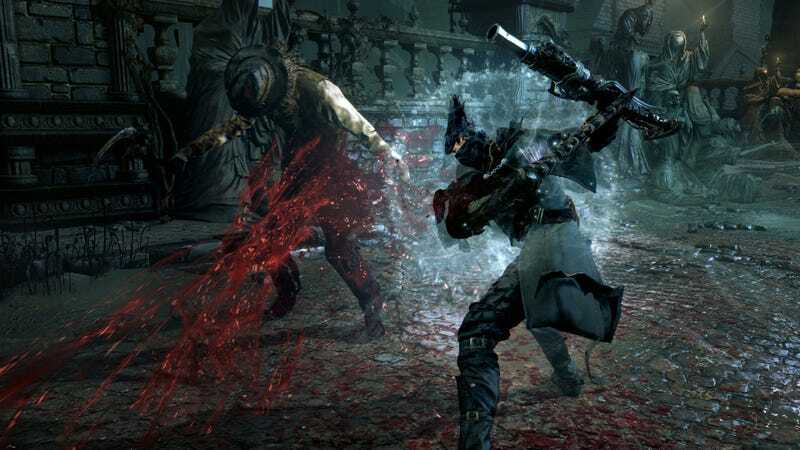 Warning: Some mild Bloodborne spoilers are to follow. 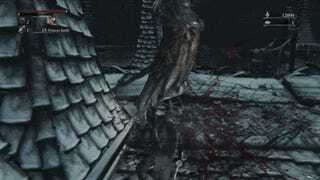 The game's second boss, Father Gascoigne, is designed to teach players about effectively using parrying and visceral attacks. The most useful function of your gun is to interrupt an enemy, force them onto one knee, and allow you to gut them for a substantial amount of hit points. 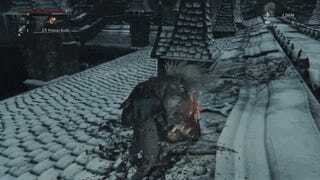 Father Gascoigne is easy to beat, once you've realized his animations are easily interruptible. If you stand behind a certain set of gravestones, his bullets are deflected, and you can easily hit him from a safe place. With some clever maneuvering, he'll just hang out there and it's all over. You might be dodging the "point" of this boss using this method, but it's totally legitimate! It's making use of the game's rules in a creative way, and you'll need every advantage you can get! What happened to YouTube user Logan Francis is a different story. He'd just finished helping someone else out with a boss, and was looking for a friend to help him do the same. After a few minutes, it was clear no one was going to show up, so he consumed a Bold Hunter's Mask, which allows him to travel back to the game's nearest lamp and return to the Hunter's Dream. Somehow, he'd traversed the Nightmare Fog and ended up in front of the boss. It quickly became clear, however, the boss hadn't really been triggered, but it was possible to attack him. Francis kept hitting him, and rather than glitching out, he simply died. The battle was "won." Oddly enough, this is the boss battle I'm working on right now in Bloodborne. I haven't tried out the exploit outlined above, but it's tempting. 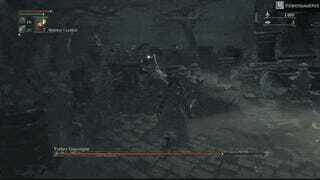 I could spend another hour figuring out the boss' strategies and working out the "right" way to take him down, but what if I could wave the exploit wand? Is that wrong? The game has punched me in the face so many times, can't I punch back? In my case, no. I won't use this exploit. I won't cheese the boss this way. But will you?